Ken Goodwin New Concert Ukulele-Banjos SOLD! 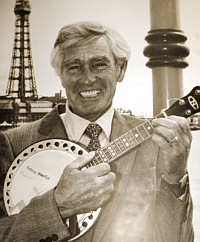 Two 'New Concert' ukulele-banjos, formerly the property of the late star comedian Ken Goodwin, who passed away in 2012. Made by Ron Beddoes in the 70s, and loosely remeniscent of the 'Ludwig' design, these are high quality instruments, and steeped in showbusiness history. 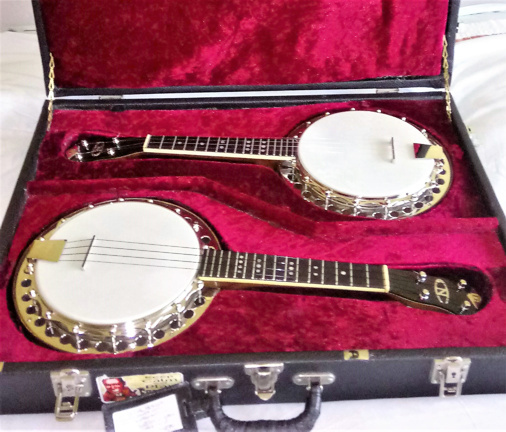 Fully refurbished by Eddie Uttley, and including the case as pictured, these are offered as a pair. 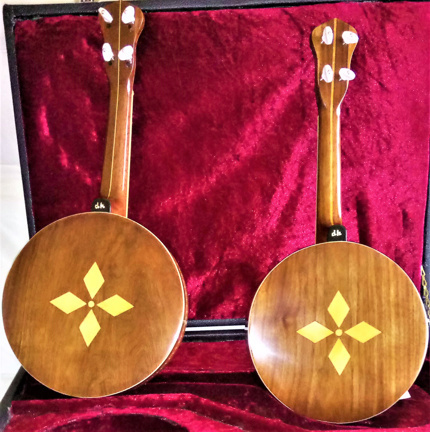 The photos on the right show the condition of the ukes as it originally appeared, when they were listed on this site in 2012, before renovation. Buyer to collect or pay shipping insurance from Merseyside area (UK).